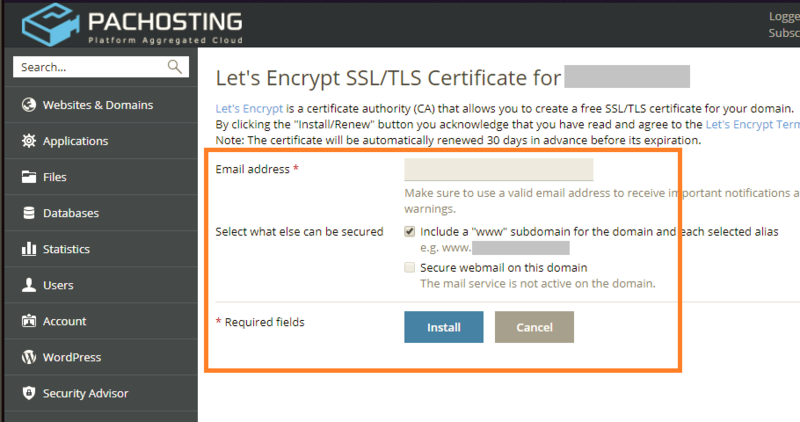 This guide will show you how to install free and 3rd party SSL certificate. Click Websites & Domains. Then click Let's Encrypt. Input email address. You could also choose to enable Include a "www" subdomain for the domain and each selected alias. Click Install. 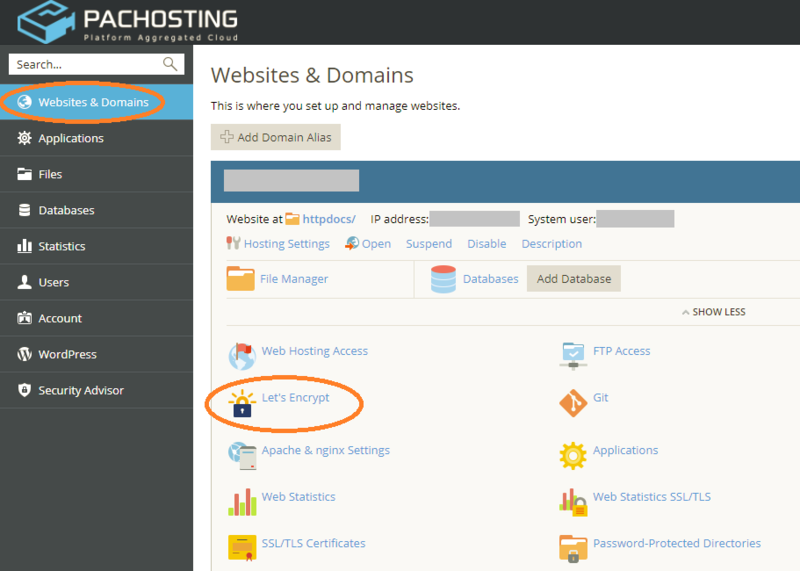 Click Websites & Domains. 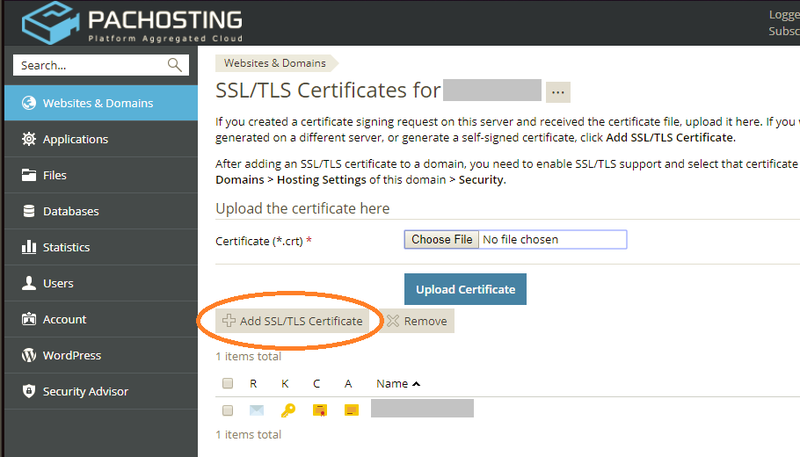 Then click SSL/TLS Certificates. 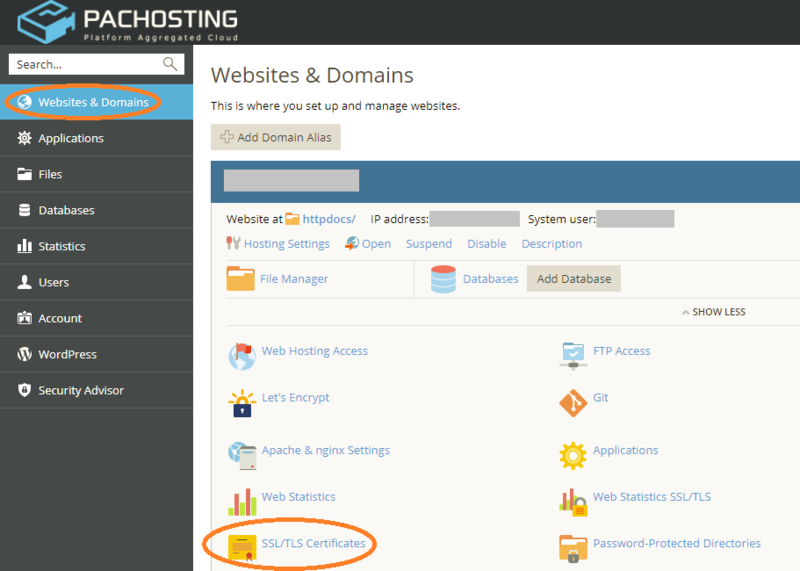 If your certificate is in files format, scroll down to upload files section to upload. If both the certificate and the private key parts of your certificate are contained in a *.pem file, just upload them separately in the private key and the certificate part. 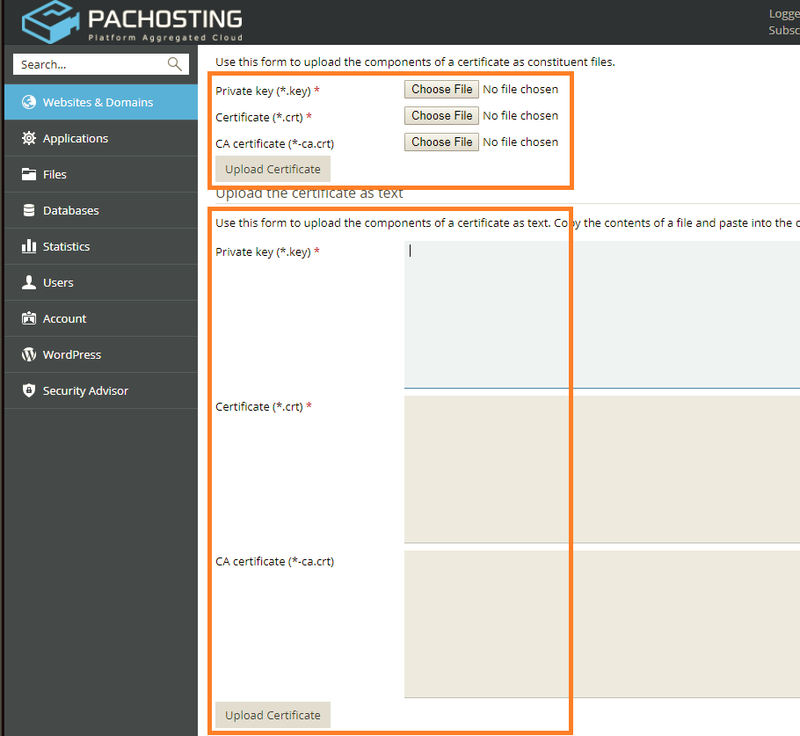 If your certificate is in text format, scroll down to the upload as text section, paste the certificate and the private key parts into the corresponding fields. Click Upload Certificate when you have finished.